If you suffer from frequent headaches or migraines, you might not know what triggers your symptoms. 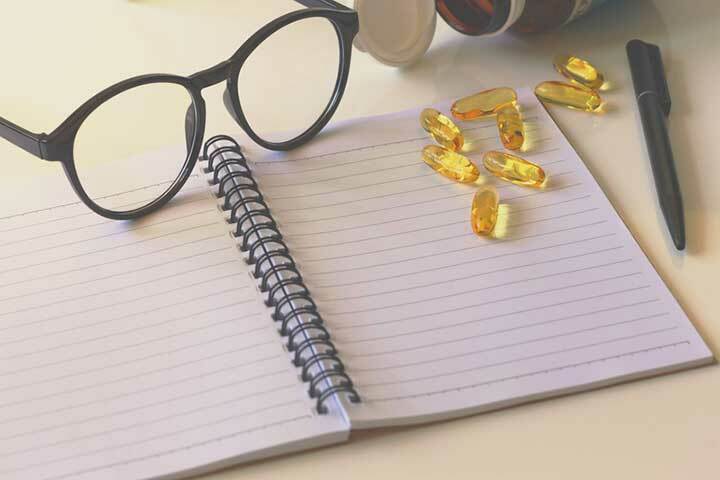 To help you learn what causes migraines, try keeping a headache journal. By keeping track of sleep, food, and your daily activities, you might be able to identify triggers or patterns unique to your headaches. A headache journal might help you to answer the question, “what causes migraines?” for yourself. I first began getting migraine headaches about eight years ago. While they started out infrequent, within a year, they had become so common that I was having them many times a week. For me, keeping a headache journal was an important step in getting my migraines under control. One of the most essential things you can do to aid in treatment of headaches and migraines is to identify triggers and patterns that are associated with your symptoms. Does drinking red wine trigger an attack? Are you more likely to get a headache after a stressful day? Answering these questions with the help of a headache journal might help you to answer the question, “what causes migraines?” for yourself. Because headache causes can be different for everybody, and your triggers might be unique to you. This question is difficult to answer, because no one really knows exactly what causes migraines, and the answer may be different for everyone. Not knowing what causes your headaches can be frustrating. I went for years without knowing when or why I would get a headache. And although I now have a better understanding of the lifestyle changes I can make to better keep my headaches at bay, I still often have headaches that seemingly have no cause or origin. Certain triggers for migraines are more common than others. These include specific foods and beverages such as red wine, chocolate, aged cheeses, preservatives, and MSG. Some people get headaches when they skip a meal or when they don’t drink enough water. High stress can cause headaches, as can lack of sleep. Lack of physical activity may be a trigger, and changes in the weather might affect you as well. For women, headaches can also be associated with your menstrual cycle. What is a Headache Journal? These sorts of details can help you sort through a long list of potential triggers to identify what lifestyle patterns might cause headache episodes, as well as those that seem to help prevent them. Click to download printable PDF file. On the other hand, if you get migraines very frequently, like I did, then you may want to keep a daily log of your activity, whether or not you have a headache. 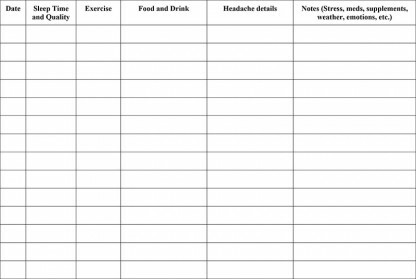 Try a template, like the one shown below, that you can continue to reuse that includes sections for sleep, food, drink, exercise, and additional notes about your headache symptoms. Keep your records from each day together in a notebook to stay organized. 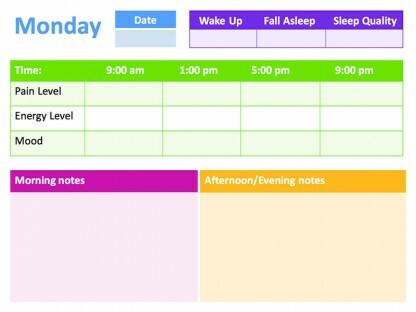 For me, keeping a headache journal helped me to figure out that maintaining a regular sleep schedule is important. I also found that eating frequently throughout the day and not skipping meals helps. Additionally, I now know that I seem to get fewer headaches when I am keeping up with an exercise routine. Although I still cannot fully explain my headaches and they still happen at unexpected times, knowing even a few factors that make a difference makes me feel more in control of my condition. Be sure to read our blogs on natural headache remedies, electrical stimulation, and the effect of weather on headaches. Have you ever kept a journal for your headaches? Did it help you to identify patterns? What causes migraines for you, specifically? Share your experience in the comments section below. chocolate, exercise, exercise routine, food, headache journal, headache remedies, headache symptoms, headaches, headaches and migraines, lack of sleep, menstrual cycle, migraine, migraine headaches, migraines, natural headache remedies, pain, physical activity, preservatives, sleep, sleep schedule, stress, supplements, weather, what causes migraines, what is a headache, wine. I used to get terrible headaches at the base of my skull. Nothing would make them go away. When I started paying attention to what precipitated them, I found that doing upper-body strength training (back and shoulders) seemed to be related. I thought I was somehow straining my neck. Very recently, I learned that the pain was actually originating under my shoulder blade–but I was feeling it as a headache. After years of pain, I’ve learned that having someone press on a spot on my back–sort of next to and under my shoulder blade–makes the headache disappear within minutes. I was shocked and very happy to have found a solution! Wow, I am so glad that you were identify the pattern and find a solution for yourself! Your story is a great example of how there is such a wide range of factors that might cause headaches, and how those factors can be entirely different for everyone. It may be surprising to learn what is triggering your headache, and oftentimes you may have never guessed the cause – as your experience illustrates!